How to mine monero (XMR)? You want to mine monero but you do not know how to proceed? No problem, we will show you how to get there without any problem. What is the different methods to mine Monero ? 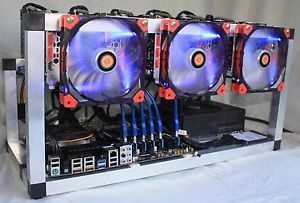 Can i register to a Mining Pool? Here I can trade Monero (XMR)? 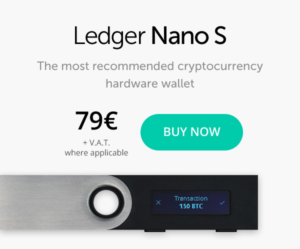 As with undermining any other cryptocurrency, you need the right equipment to perform well. However, the requirements to mine monero are much less restrictive than with other crypto-currencies such as bitcoin. The monero is indeed a fairly recent cryptocurrency, which makes it still relatively simple to mine. This means that you can still efficiently mine with a good computer if it is equipped with a recent AMD graphics card. However, the better your configuration is, the more important your performance will be. 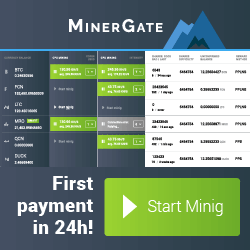 Can I mine Monero (XMR) with MinerGate? You can use Minergate. It is a complete mining software that will allow you to mine many crypto-currencies without needing to make many adjustments. It is an ideal solution for beginners who can try to mine without taking a lot of risks and without needing a lot of knowledge. However, it is a site that is unprofitable and that will not allow you to obtain convincing results. However, it is an interesting way to discover the mining. Can I mine Monero (XMR) with out Software? You can mine solo. It is the method that requires the most knowledge and the most investment, whether personal or financial. The first thing you need to do is to create an online wallet that will allow you to receive and store your monero. Once that's done, you have to run a mining software, such as Monero Core, that you have to let it synchronize with the blockchain before opening your online wallet. Once everything is ready and set up, you must start the mining operation by entering “start_mining” in the command line. Although this method requires efficient equipment and a lot of time, it will also allow you to collect all the monero that you mine. 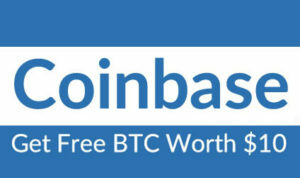 Finally, you can register on a mining pool. Using this system, you will enjoy faster gains since the mining efforts are pooled between the different contributors of the mining pool. However, you will earn less monero since the winnings are also shared among all contributors. In addition, operating costs will be deducted from your earnings. They generally rise between 1 and 10% of your earnings. If you want to mine several types of crypto-currencies including monero, we advise you to opt for Genesis Mining, whereas if you want to mine only monero, you can try MoneroPool. Miner du monero asks for the investment, even if it is less important than for other crypto-currencies such as bitcoin. To mine monero, you can do it alone, via a mining pool or by using Minergate.